A few weeks after Julie Croket, another Belgian gymnast says goodbye to gymnastics : 3 time Olympian Gaelle Mys! Gaelle has been a lock for the Belgian team since her Seniors debut, in 2007. But before that, she was already successful as a Junior. 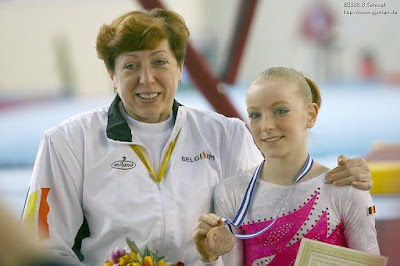 After a first participation at the 2004 Euros, she competed at the 2005 FOJE where she qualified for the all-around final as well as the floor and beam finals. In 2006, she won a bronze medal on floor at the European Championships in Volos. She turned Senior in 2007 and competed at the European Championships and the World Championships. Her good results at Euros (16th AA) and Worlds (68th AA), and her performance in World Cups (one in 2007, three in 2008) will allow her to represent Belgium at the 2008 Beijing Olympic Games, where she placed 24th in the all-around final! Between 2009 and 2012, Gaelle qualified for no less than 6 finals at World Cups and Challenger Cups and won a bronze medal on beam (Doha 2011). 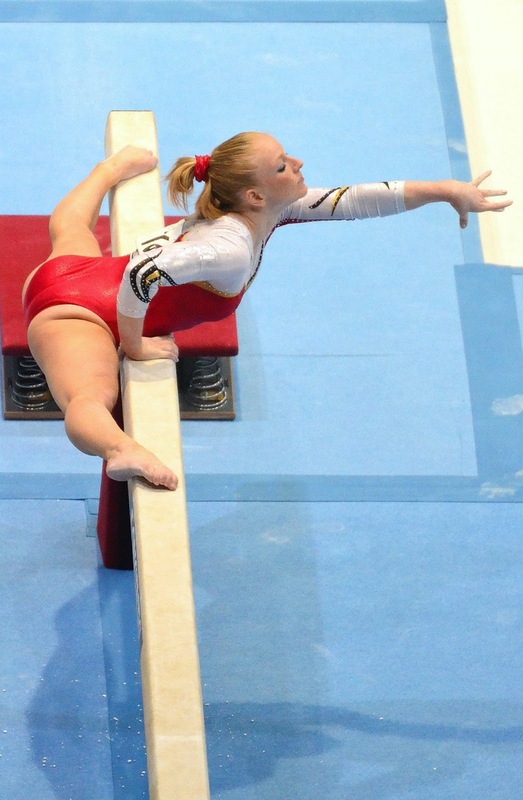 The strong performances of the Belgian team at the 2010 (15th) and 2011 Worlds (16th) allow Yves Kieffer's gymnasts to qualify for the Test Event. In London, the team fell short on qualifying a full team for the Games, placing 5th, just one point from the last qualifying spot. First an alternate, Gaelle would eventually become the sole Belgian female gymnast at the 2012 Olympic Games after Julie Croket got injured a few weeks prior to the Games. There, she placed 31st. After missing a team qualification for the Games, Gaelle was not finished with gymnastics just yet. 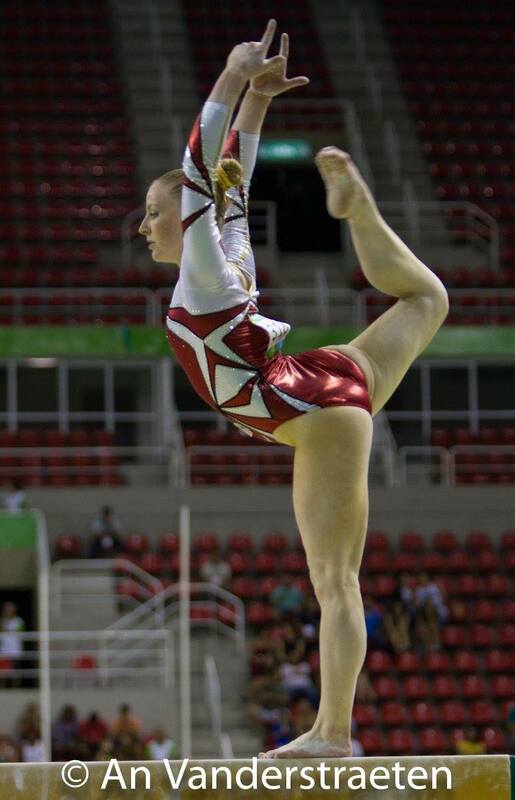 She performed at the 2013 World Championships in Anwterp where she qualified for the all-around final (18th). She contributed to the team's 7th place finish at the 2014 European Championships and to the 11th place at Worlds in Nanning, the best result ever achieved by a Belgian team before! In 2015, Gaelle travelled to Baku for the first ever European Games, where she placed 6th in the all-around and 10th with the team. She was once again a lock for the team that travelled to Glasgow for the World Championships where the girls brilliantly qualified for the Test Event. In last April, she was of course part of the team that earned a bronze medal at the Test Event and qualified for the Olympic Games as a team, a first for Belgium since 1948! 2016 seemed to be Gaelle's year as she then qualified for two individual finals at the European Championships, on floor and balance beam, her two best events. Gaelle made the trip to Rio, her 3rd (!) Olympic Games, where the team placed 12th and where Gaelle got to show one last time why she was such an asset to this team. Her confidence and solid routines, as well as her amazing epressivness on floor exercise will be among the things I'll miss the most about Gaelle. I'm so used to see her on this team! She made history for our country multiple times and, in addition to an extraordinary international career, Gaelle also won multiple medals on home soil and has been National champion. We will miss you Gaelle! Thank you for everything you've done for this sport. You made us proud and no matter what, you are part of Belgian gymnastics history! 2016 Top Gym: all you need to know! 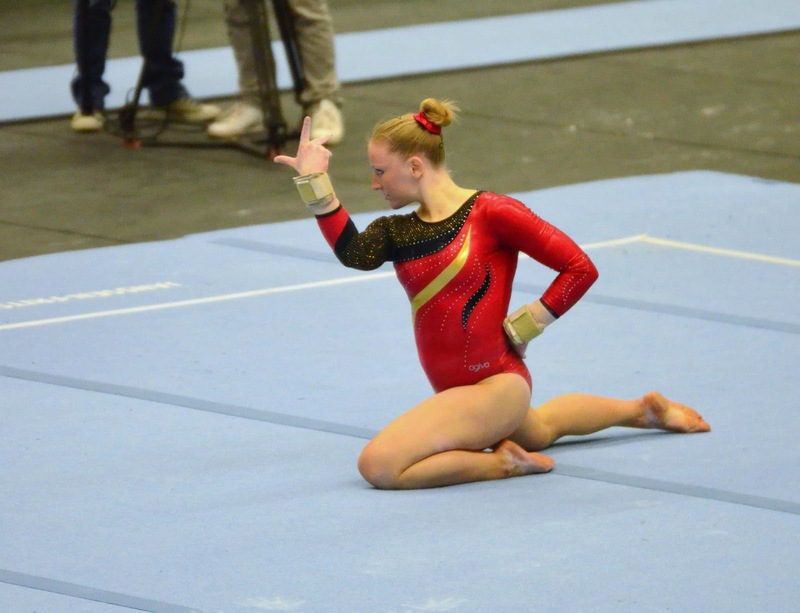 International successes for Team Belgium!